Does political inclusion produce ideological moderation? Schwedler argues that examining political behaviour alone provides insufficient evidence of moderation because it leaves open the possibility that political actors might act as if they are moderate while harbouring radical agendas. Through a comparative study of the Islamic Action Front party in Jordan and the Islah party in Yemen, she argues that the IAF in Jordan has become more moderate through participation in pluralist political processes, while the Islah party has not. The variation is explained in part by internal group organization and decision-making processes, but particularly by the ways in which the IAF has been able to justify its new pluralist practices on Islamic terms while the Islah party has not. 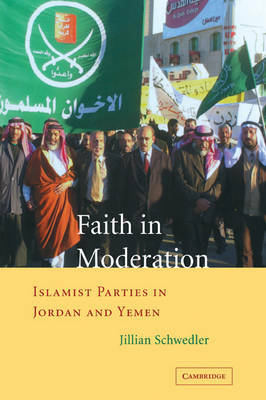 Based on nearly four years of field research in Jordan and Yemen, Schwedler contributes both an important theory of ideological moderation and detail about these powerful Islamist political parties.